On 23 January prisoner of conscience HORST MAHLER will turn 74. Next month he will have spent his first year of a 12-year - and likely life - sentence in a German prison cell. The following is an appeal from a comrade sent out on his behalf. 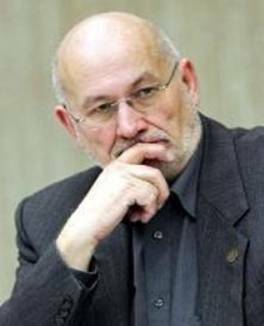 On 23 January Germany's most feared political thinker, Horst Mahler, will be celebrating his 74th birthday. Herr Mahler has been incarcerated since February 2009 and has thus completed the first year of his 12-year sentence. Mahler is in good spirits and fine health; he speaks with his wife daily on the phone, and he is teaching Hegelian philosophy via mail in an attempt to make the thoughts of this great thinker more accessible to the uninitiated. He does, however, feel that many of his friends and supporters have abandoned him, going about their daily business without consideration for the enormous sacrifice that he has made, namely when considering his age, spending possibly the remainder of his life locked up. Therefore, I would ask you to write him a card or a letter letting him know that he is not forgotten, and that the struggle for free speech continues! Please be aware that owing to the severity of his "crime" his mail is censored. Only letters sent in envelopes that do not exceed A5 will be given to him. Also, only letters that are free of "thought crime" will be forwarded to the prisoner! You can, of course, write matters of a personal nature. Horst Mahler is a generous and loving person and would be glad to hear from you, especially on his birthday! Those wishing to support him financially may send him 5-10 Euros in a separate envelope marked: "Verwendungszweck: Sondergeld 1".